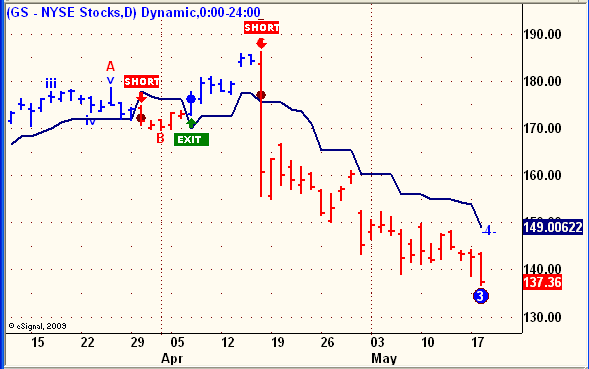 Three prominent Shorts from April that were discussed here in real time. 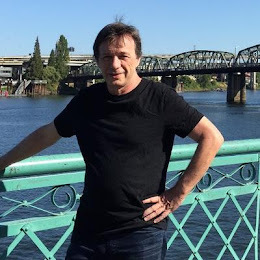 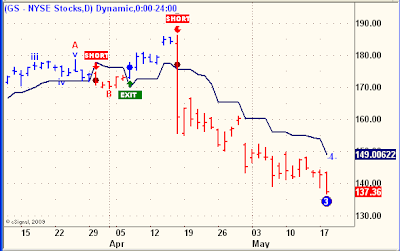 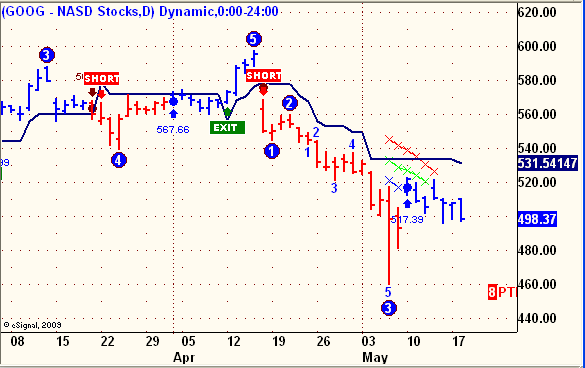 The chart titles link to the April, 2010 blogs that first posted the Sell Signals. 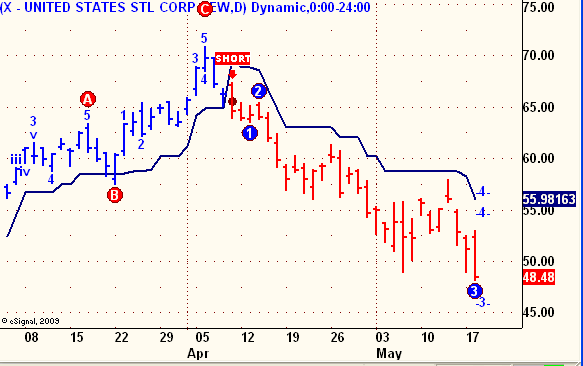 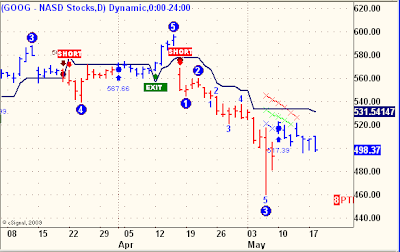 The EW counts included in these charts were not known at the time of the signals, but are known now, in retrospect. 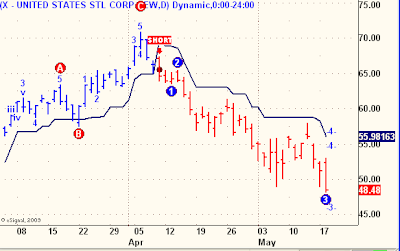 Not all Trend Model signals result in Wave 3 downtrends, but when they do, they make up for any prior whipsaws and then some.